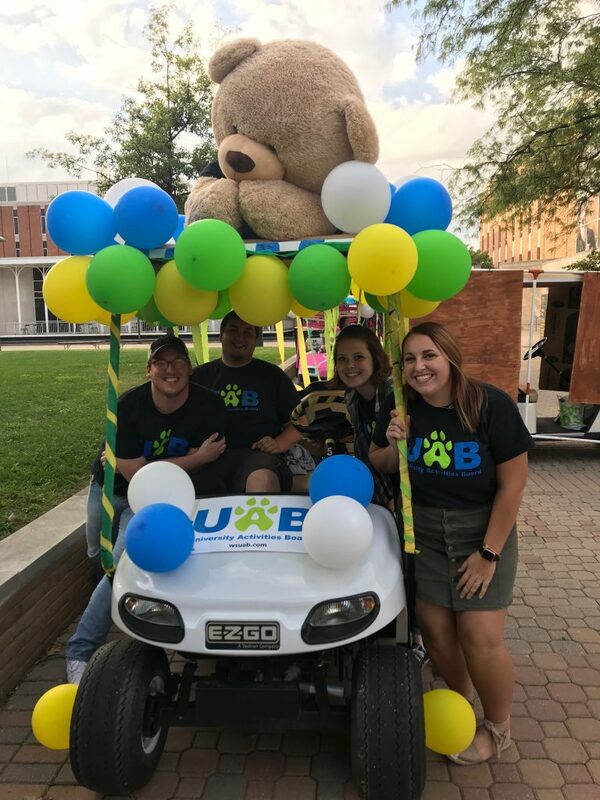 Throughout the year, Wright State’s University Activities Board (UAB) hosts many events, such as Welcome Week and Fall Fest, open to all Wright State staff, students and faculty to take part in and enjoy. Consisting of 10 executive board members and 15-20 team members, everyone involved works hard to plan and execute each event on campus. “UAB is the premiere programming board here on campus for students run by students. We plan things such as campus events, off campus events, homecoming and spirit week and major events at the Nutter Center,” said Dana Reed, UAB’s president. UAB is responsible for events and activities such as Fall Fest, The Price is Wright, Hypnotist Joshua Seth and Homecoming, as well as a trip to Young’s Dairy that was free for students. “We have also collaborated with many different organizations this semester as well. We have an event called Board Game Binge on Nov. 20 from 11 a.m. to 3 p.m. in the Student Union. We also have an excursion to the Columbus Zoo on Dec. 1 for students,” said Reed. The UAB team includes a Director of Major Events, Director of Excursions, Director of April Craze, Director of Campus Events, Director of Marketing and Director of Campus Spirit. “Each director [oversees] each type of activity we do. For example, Director of Campus Events plans our on-campus events such The Price is Wright or Board Game Binge. Director of Excursions plans our events off campus such as our trip to Young’s Dairy. Director of Major Events brings acts to the Nutter Center. Director of Marketing makes our marketing and runs our social media. Director of April Craze plans April Craze that is held on the last Friday of classes in the spring semester to celebrate the year coming to an end. Director of Campus Spirit plans events during homecoming week like the homecoming bonfire on campus. They also plan events during Spirit Week in February,” said Reed. With the vast amount of work that goes into making events happen on and off campus, do not take this organization for granted. Make sure to stay in the loop and watch for upcoming events by following the UAB on social media; you do not want to miss out on the opportunity to have a free, fun time on campus! “We are on Facebook, Instagram and Twitter. On Facebook we are Wright State University Activities Board. On Instagram and Twitter we are @WSUAB,” added Reed.